I'm a huge movie buff. I love movies like little kids love Disneyland. I can never get enough! So you can imagine how thrilled I am for the Oscars! 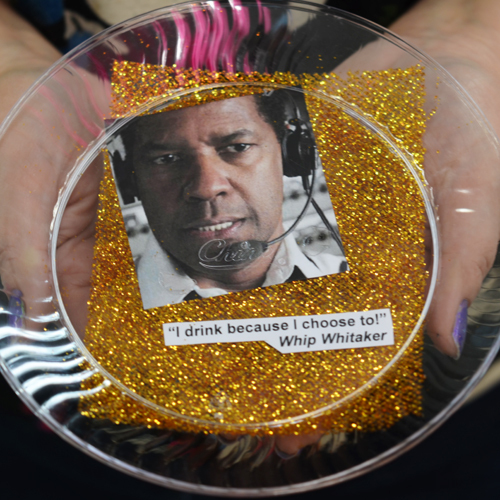 I don't exactly throw a huge soiree for the event, but I do like to make small, glittery decorations to enhance the TV watching expereince. Today is Friday, which doesn't leave much time Sunday. But you can still craft some fun items - I made all of these items off of one trip to Target, and I only spent $15! 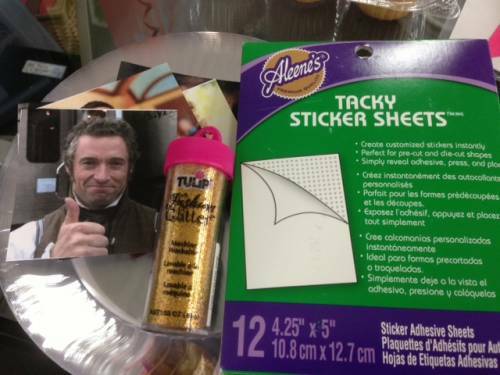 For this project you'll need clear plastic plates, Tulip Fashion Glitter and the Sticker Sheets and/or Dots. You'll need to print out pictures of your favorite actors or actresses. I went with the nominees. Next, remove one of the sticker sheets and cut to the shape you want on the plate. Peel off the backing and press in place on the plate. Press the picture and quote in place, pour glitter and tap away the excess. Next, add a Tacky Dot on the picture and on the glitter area and to secure them. 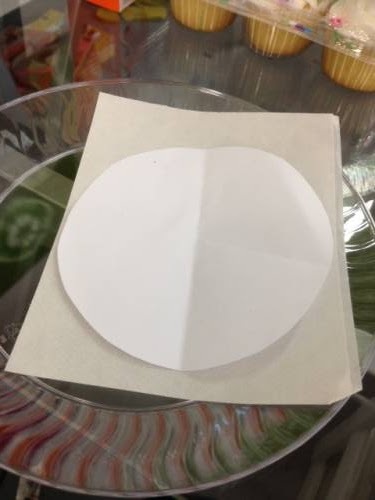 Now you have a cool plate, and it's easy to make more! 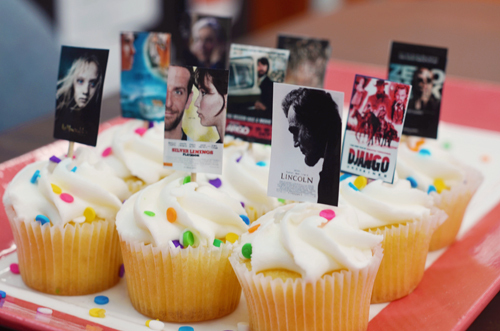 These are even easier to make, simply print and cut images of the movie posters and also cut scrapbook paper to match. Sandwich a toothpick between the two layers using Tacky Dots. Insert in your cupcakes! 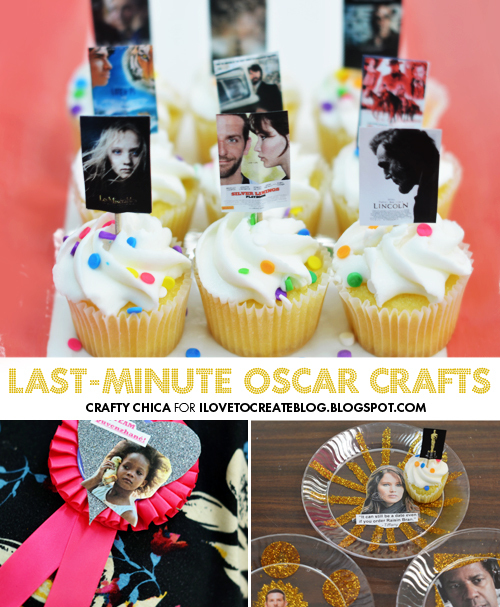 TIP: You can even use these images to make earrings or other party favors! 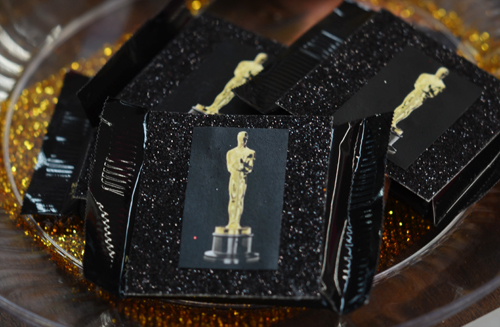 Project #3: Oscar Statuette Chocolate Squares! To make these, simply buy a bag of Ghiradelli Chcolate Squares, cut glittery scrapbook paper and images to fit. Use a Tacky Dot or glue stick to affix. Show your love for your favorite nominee by making a prize ribbon badge. Wear it proudly! A different USE fro Collage! I love it! My neighbor and I have watched the Oscars for several years. She is also my Friday night craft buddy. My husband calls us the two Lucy's. This year i am greeting her at the door with a pan of clay so we can do our star hand imprints and sign our names. Next week we will paint them. These are great ideas to help. I'vs also taken your online class for making Crafty Cash. I learned so much. I encourage anyone who is selling their arts to take it. My hysband is a musician and many of your tips applied to his art. Maybe Patrick can do a couse for the struggling musician. & the winner is ME for finding such creative little things to do for the Award Show Thanks! 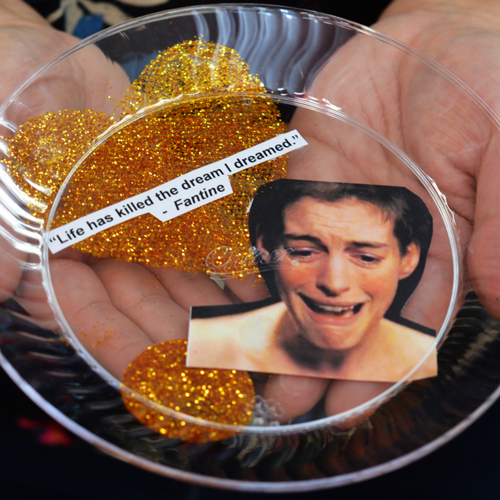 Your Oscar party décor is awesome. Just loved those cupcakes. Want to throw an amazing party to my friends at one of event venues Chicago. Have taken some great ideas for the day. Want to make an interesting party for all.